Cyclists do not need to dismount when crossing at a crossride. 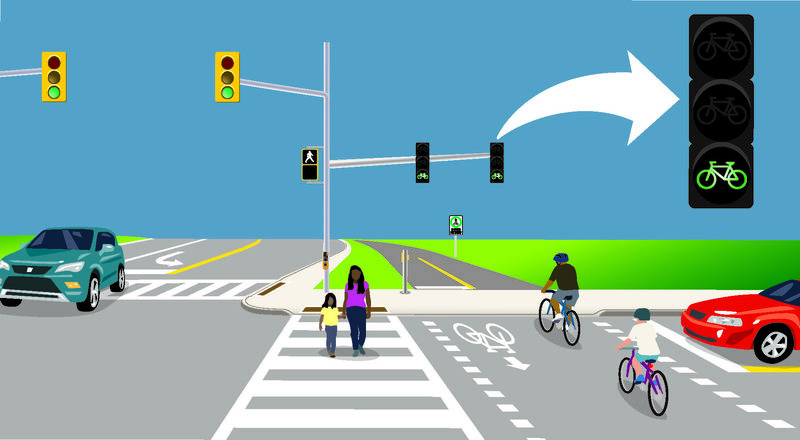 If the intersection has bicycle signals, look for a cyclist pushbutton. If there is a button, push it and wait until the bicycle signal is green. Ride cautiously across the intersection within the crossride. 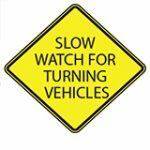 Watch for left- and right-turning vehicles to be sure they see you and are yielding. Travel at a speed that allows you to stop quickly if a vehicle turns across your path. 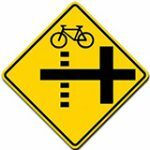 Don’t pass other cyclists within the crossride. If pedestrians are crossing, ring your bell to let them know you are approaching and pass carefully. By law, cyclists must yield to pedestrians on multi-use trails. If there is a pedestrian pushbutton, push it. Wait for the ‘Walk’ signal. Watch for turning vehicles to be sure drivers see you and are yielding. Look around as you cross. Do not use electronic devices while crossing. 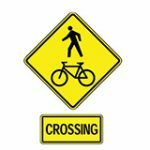 Pedestrians should avoid walking in the crossride. 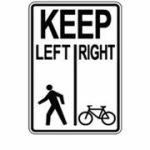 When making a turn, look for cyclists and pedestrians who are approaching or crossing the intersection. Signal your turn early, giving other road users time to react. Check your blind spot before turning. Drivers must yield to cyclists in the crossride. Slow down when approaching an intersection and look for vehicles that may turn into your path. 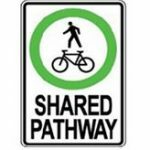 Be courteous, this path is shared with pedestrians and cyclists. 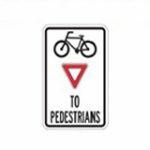 Cyclists and pedestrians keep to your marked sides. Pedestrian and cyclist crossing ahead. This sign lets you know which side of the intersection cyclists will be crossing.